It's another Thursday around here and I want to welcome you back to another Dad Talk Thursdays Series! 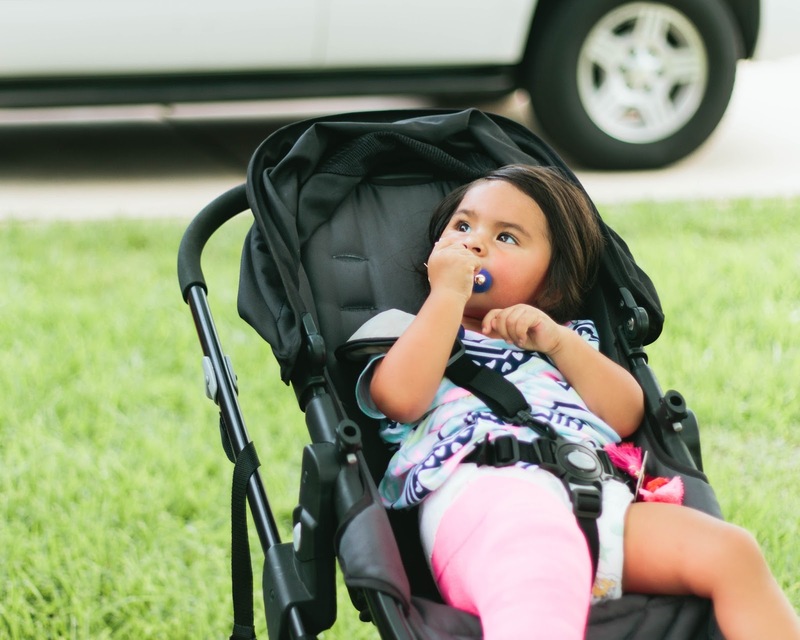 It's been nonstop around here and wanted to sit down and talk about the effects your child's injury/injuries affect you. As a dad or parent, we feel like a superhero and ever present to protect our little ones from danger. Unfortunately, accidents do happen and when they do, they happen so fast that you feel powerless, incapable of protecting the ones you love. I had a hard time getting over the incident and still am recovering. But I had to uplift myself and look at the bright side of this incident. I want my daughter to heal right and without any set backs so we had to be positive and try to live life as normal as it was before. Allow me to go back a couple of weeks and explain what happened. Then I will also explain why we, especially myself, were shocked once we received the unfortunate news. My wife, sister in law, and I were watching TV and Mila ( my daughter ) was playing right in front of us. Everything was normal until my little brother in law, who happens to be the same age as Mila, 2, and her began to fight over a roll of vinyl paper. I got up to take it away, and as I did, Mila took off running and in some way that I can't comprehend, slipped on the paper and as she hit the floor she let out a terrifying cry ( still haunts my dreams to be honest) . We didn't find out what was wrong until we got to the hospital. We checked her for about 15 minutes and that's when we realized there was something seriously wrong. The crazy thing is that she has fallen much harder than that and been completely fine. Once at the hospital and after some xrays, we received the news that Mila had a fracture on her femur, the strongest bone in the human body. How could that happen from a slip and fall? That I will never understand, and if the Dr.'s couldn't explain it, I'll die trying to figure it out. I felt powerless, incapable, weak, and even hopeless. At a point, I even started to get depressed. Once I started to feel this weight on me, I had to make a change and my main driving force was showing my daughter that we could be positive during hard times. It was hard for me, especially the first week. It happened right in front of us. How did I let that happen? Am I not capable of watching after my daughter? These thoughts were killing me day and night. I had to understand that it wasn't my fault. I've done crazy action sports, had bad falls, accidents, and had never broken or fractured a bone. I couldn't comprehend how someone, especially a strong and developing baby, could have such injury from a slip and fall. Fast forward three weeks and we are almost back to normal in regards to our way of life. I got over the depressive thoughts and am being the best and most supportive dad my daughter could ever have. That's what it's about. Sometimes we have to be stronger for others and I believe this is one of those circumstances. In fact, I became stronger because of it. I could have been depressed and sitting down still thinking about what I could have done but I MADE A CHOICE to be happy and that it wasn't anything worse. 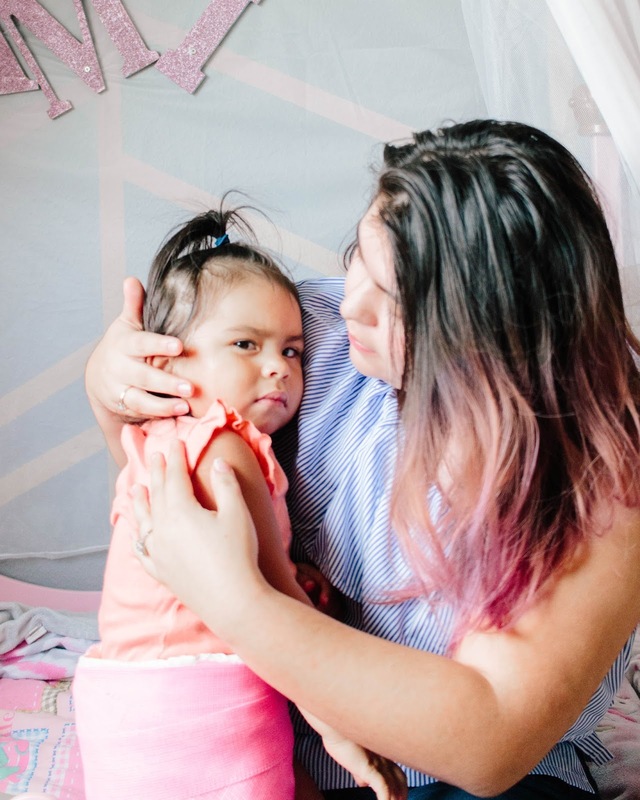 I have my daughter, and I am here to be loving, caring and involved. I want to be an example to her and show others that it's the way we react to external circumstances that help us get through hard times in our lives. Fatherhood depression is real and I wrote about my findings in this post! Stay positive, loving, caring and involved in your child's lives! Have You Or Your Child Ever Gotten A Serious Injury? How Did You Handle The Situation?